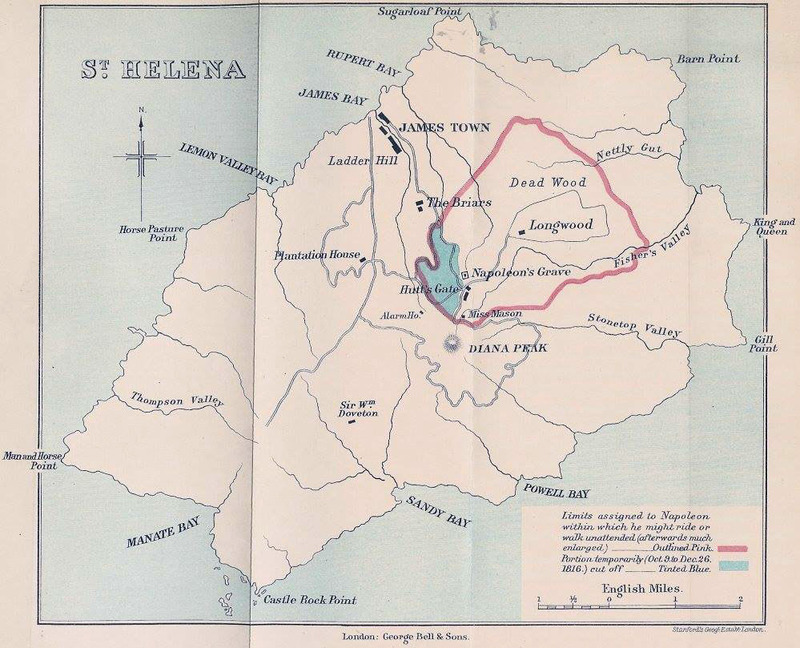 Saint Helena was originally discovered by the Portugese in 1502 as they were attempting to streamline their journey's to and from the Cape of Good Hope. Indeed, the island would become a crucial staging area for the next three centuries on the route to and from Asia. Fresh water was abundant and fruit could be collected from the trees. It was too isolated to host any nasty diseases and there were no hostile natives to worry about. The Portugese would put sick crew members ashore to recuperate and join later ships. The first inhabitant of the island appears to have been Fernando Lopez who did not wish to return to Portugal due to a public maiming he had received. The first Englishman to visit the island was Thomas Cavendish as he circumnavigated the globe in 1588. Ships of many nations called into the island over the next century, but it was to be the rising maritime powers of the Dutch and the English India Companies that would vie for control of the island. They both claimed control in the Seventeenth Century. The Dutch claimed the island in 1651, but it was the English who built a fort there in 1658. In 1672, the Dutch launched an expedition against the island as part of one of their many wars against the English. Despite a fierce defence, the Dutch ultimately overwhelmed the defenders who retreated to warn English shipping of the change of owner. A relief expedition continued on to the island and sneaked ashore to attack the fort from the landward side. The Dutch surrendered on May 15th 1673. That year, a charter granted the East India Company as being the absolute lords and proprietors of the island. The Company organised its fledgling colony into a place that could reliably resupply its ships and with a full garrison. Slaves were imported as attempts to produce suitable crops were experimented with. The steep slopes made agriculture more complicated than anticipated but plantations were established to fill the need of the increasing volume of ships calling into port. 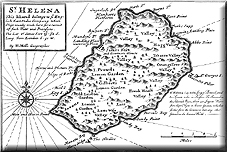 The population of the island rose with the increasing success of the English East India Company. In 1676, the Astronomer Royale, Edmund Halley visited the island in order to accurately observe the transit of Mercury and Venus. The island would once again demonstrate its strategic usefulness in the Revolutionary and Napoleonic Wars. In 1795, the governor of the island organised an expedition to attack the Cape of Good Hope and capture it from the Dutch. Many of the Malay slaves from the Dutch colony were so thankful for their granted freedom that they volunteered to return to the island and join the garrison there. The island's garrison, with many of those Malays, played a part in the 1807 expedition to Buenos Aires which ultimately ended in failure. The reduction of the garrison was not as dangerous as it could have been. The Royal Navy victory at Trafalgar in 1805 had basically given the control of the oceans to the British and there were to be no more threats to St Helenian security. 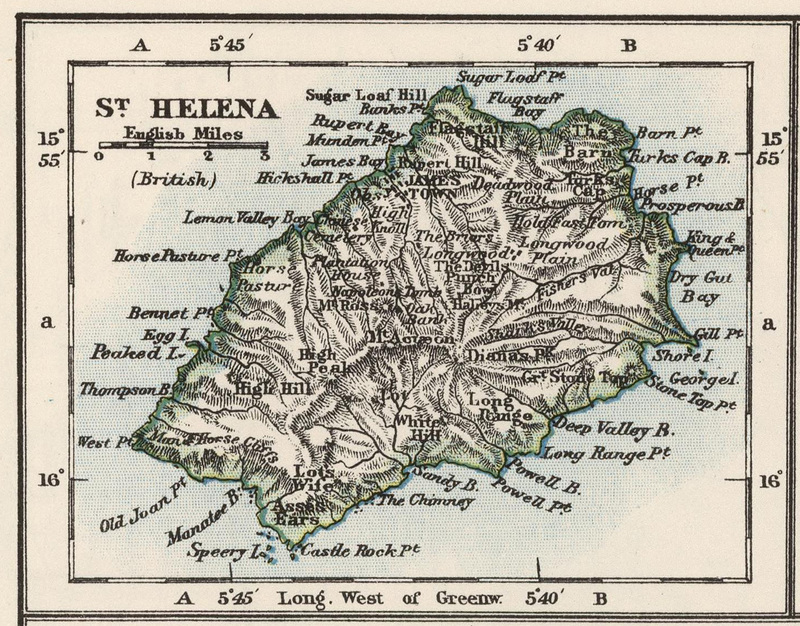 Indeed, it was to be the remoteness of the island combined with the power of the Royal Navy that was to make St Helena into the ideal final place of exile for Napoleon Bonaparte. He had already escaped from his exile in Elba and caused the Waterloo campaign. The British were determined not to allow him a second attempt at escape. They were still loathe to execute him due to the poor precedence they felt would be set by the execution of an Emperor and Head of State, even one who usurped his position. The island's defences and garrison was substantially increased and improved to secure the island prison of Napoleon. They even established a garrison at Tristan da Cunha to ensure that no rescue missions could be launched from there. On his death, most of the garrison was withdrawn. Although the principal of an isolated prison was to be resurrected many times again. In particular, it was to be the prison home of the Zulu Dinizulu son of Cetewayo and again for many of the Boers captured during the Boer War. 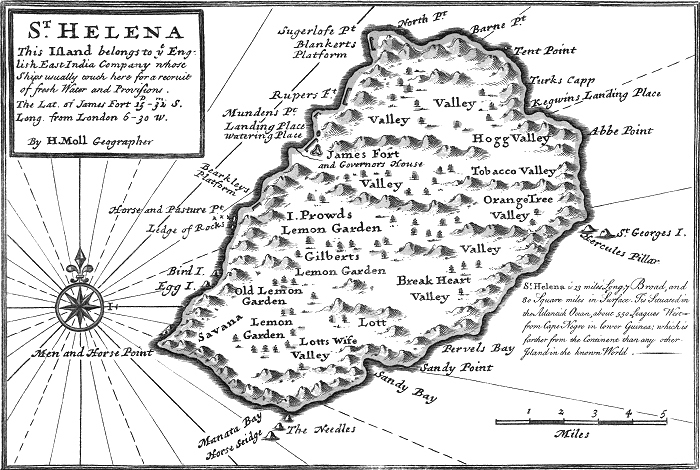 The Nineteenth Century would see major changes in the fortunes of the island. Slavery was to be abolished throughout the British Empire giving many of the plantation workers their freedom between 1826 and 1836. However an even more significant change was the sudden decline in the fortunes of the East India Company. The Charters and Monopoly powers of this company were becoming less and less relevant in the era of the Industrial Revolution and Laissez Faire economics. The Company found the costs of administering its holdings more expensive than any income derived from them. In 1833, the Company finally gave up its commercial exposures and relinquished control of the island. In 1834 it became a British Crown Colony. Sailing ships still called into the islands for resupply and replenishment however the development of steam powered ships and the opening of the Suez Canal in 1869 combined to deprive the island of most of its strategic rationale. The island was no longer on the major shipping and trade routes. Their target market of thirsty and hungry sailors disappeared rapidly. In 1906, the remainder of military garrison was fully withdrawn further demonstrating the loss of strategic importance of the island. An economic lifeline was discovered when it was realised that New Zealand flax could grown on the island. This was used in the manufacture of rope and string. Although in the Twentieth Century, man made fibres would displace even this cash crop. The island is heavily subsidised by the British government although it does raise money from fishing rights. It is also hoped that the planned airport will increase tourism to the island.